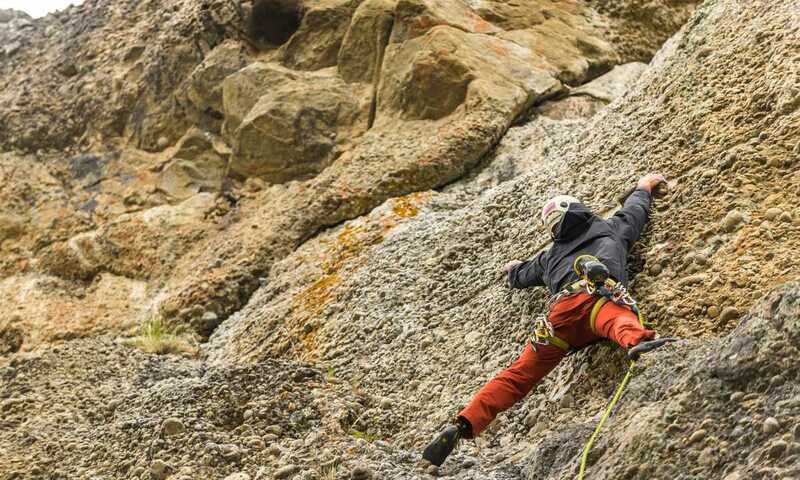 Whether you are a complete beginner or someone with climbing experience, climbing at the beautiful Laguna Sofia near Puerto Natales is perfect for all abilities with its range of routes. Surround yourself with nature as you climb, gazing at impressive mountains, swooping condors and even ancient rock paintings. Day 1 - Laguna Sofia: We will pick you up for a private transfer from Puerto Natales at 9:00am. After a 30 minute drive, we reach Laguna Sofia, after which we hike for about 15 minutes to reach the foot of the climbing wall. Once we reach a safe spot, we’ll gear up and instruct those who are climbing for the first time and check all the equipment. The instructor will then climb first to place gear, then climbers will follow on top rope. At the end of the day, we’ll return to Puerto Natales after enjoying this adventure. This trip runs with a minimum of one person and can take a maximum of six climbers (with two guides). This trip can run as a group trip, with prices starting from $79 per person for a complete group. If you are looking to join a group or you are a solo traveller we will help to form likeminded groups of travellers. Please let us know your travel plans. Time of departure - 9:00 am after breakfast. You must wear appropriate and warm clothing to participate. You can bring all types of cameras. Equipment includes climbing shoes, helmet and harness.